7 Not in the games. 22 English Best Wishes Logo? 24 Is this trivia worthy? As with both the Advanced Generation and Diamond & Pearl series before it, the Best Wishes series begins with only Ash Ketchum, headed off to a new region with his Pikachu. So far as I've seen, there is absolutely no confirmation that Ash will even be the main character in this series; Japanese fans are throwing around rumors that he's going to be taking Brock's role. So why is speculative crap like that being presented on this page as fact? We don't know anything about the series, and we shouldn't pretend that we do. The Best Wishes series is the only anime series since the original series to have no game protagonists among Ash's group, and so far the only anime series not to have any characters who appear in the games among Ash's friends. I was wondering, instead of Just the posters going down the article, maybe this? (I'm new to this stuff so don't berate me) Should someone add to the trivia that the shell on mijumaru's belly is missing on the poster? Notice how the titles changed after the initial season of DP. Instead of just being "Pokémon:", it became "Pokémon Diamond and Pearl:". So my question is, what happens if they do the same thing with Best Wishes? It wasn't a real big deal because Diamond and Pearl was the name of the Japanese series. But what would happen if the season after Black & White! was named, for example, "Pokémon Black & White: Plasma Adventures"? 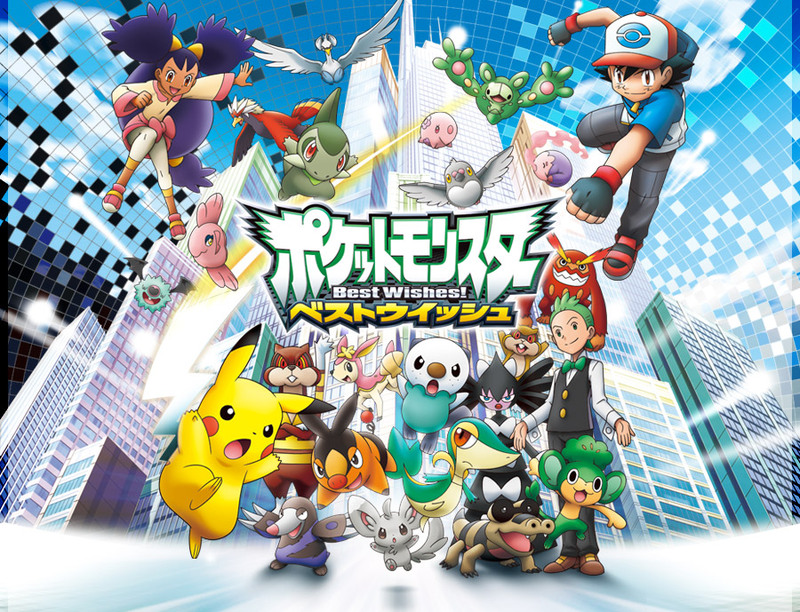 I'm pretty sure it wouldn't be called "Pokémon Best Wishes: Plasma Adventures". Someone should put the English logo for Bets Wishes in the article somewhere since the Japanese Logo is in there. Unlike Johto, Hoenn or Sinnoh, Ash starts off in his room doing similar things from EP001 in BW001. Like Kanto (and Johto as well), Ash has caught all three of the starter Pokémon of the region he is in. The Best Wishes series is fast-paced, much like Kanto was. Like Kanto, Ash travels with two gym leaders native to the region he is in. However, in Kanto it was the 1st and 2nd Gym Leaders (Brock & Misty respectively) and now it is the 1st and 8th Gym Leaders (Iris & Cilan respectively). Ash caught more than five Pokémon in Best Wishes which he hasn't done since Kanto. However, Ash got to pick which Pokémon to put in Professor Juniper's Laboratory in Best Wishes when in Kanto, Krabby went straight to Professor Oak. This page was last edited on 26 February 2017, at 13:14.